The above image shows an image of the driver model and below the fairway wood version. 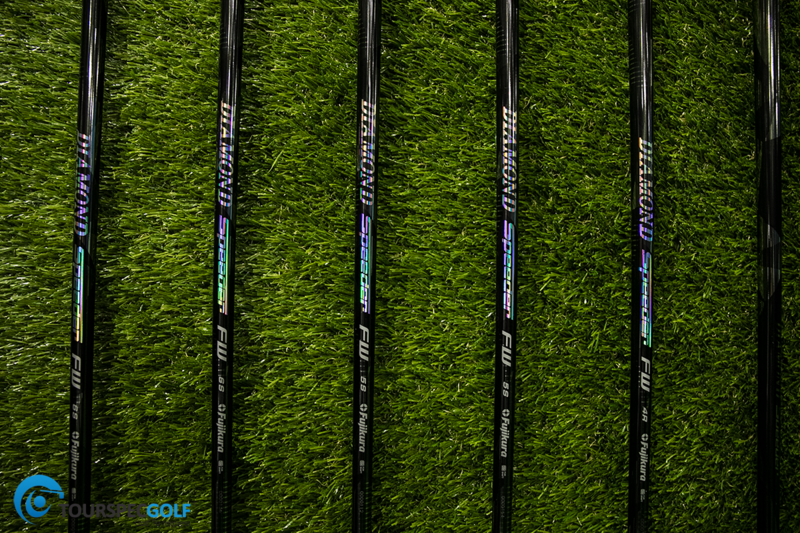 They are beautiful shafts with reflective text and subtle carbon aesthetic effects throughout the shaft all tastefully done. 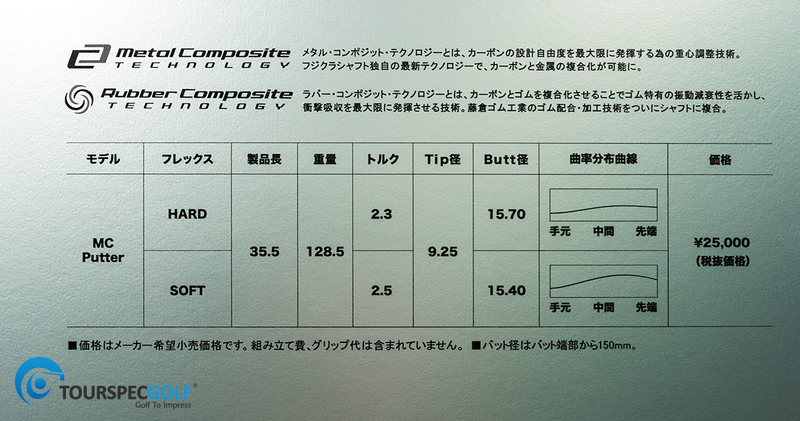 Overall these are supposed to be higher launching neutral bias shafts that fly very straight. 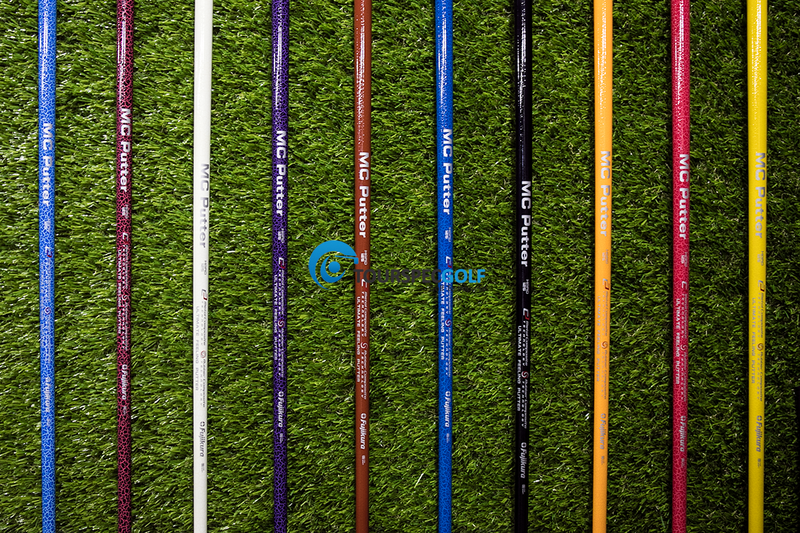 Next up is the MC-Putter which is available in 2 versions both 128.5g heavy they have a really cool leather like exterior finish. I was able to hit the putter on Fujikura’s test putter green and it felt great and for sure made the putter feel softer off the face I could not tell the difference between the soft and hard model but I was also not dressed or focused enough to notice with all things going on. Visually they are a bit text heavy and busy but you can turn that side down for a cleaner look at address. 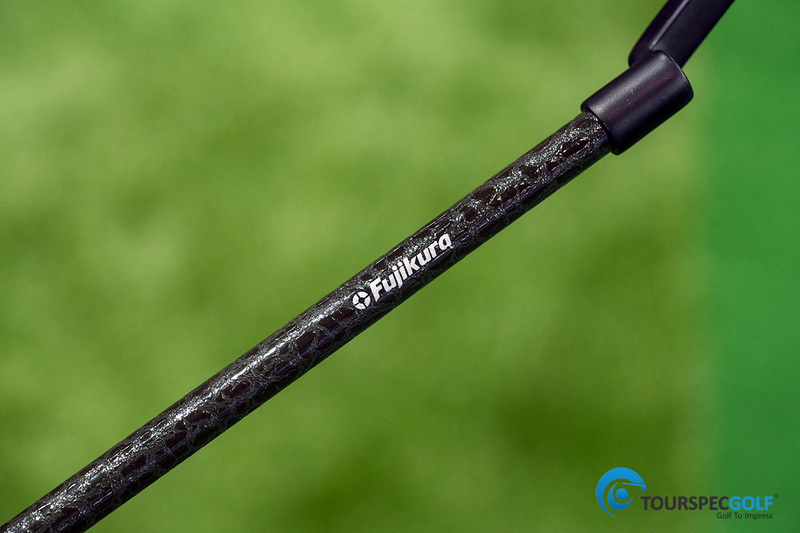 Fujikura implemented what they call a composite rubber tech which carries far less harsh vibrations through the hands than traditional steel putter shafts. Of course Fujikura had many color variants on display which will not be released as a retail offering. 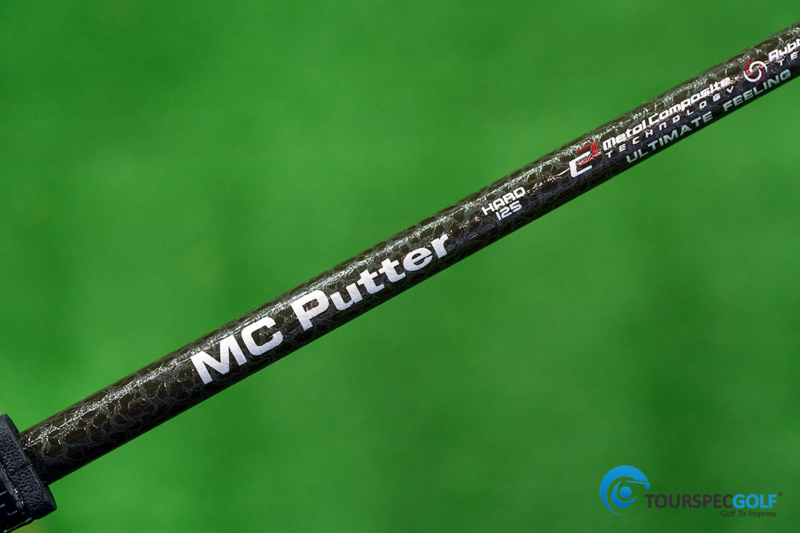 Also new but not at the show is a light weight MCI Black 60g range version. This will fit in under the 80 and 100g models. 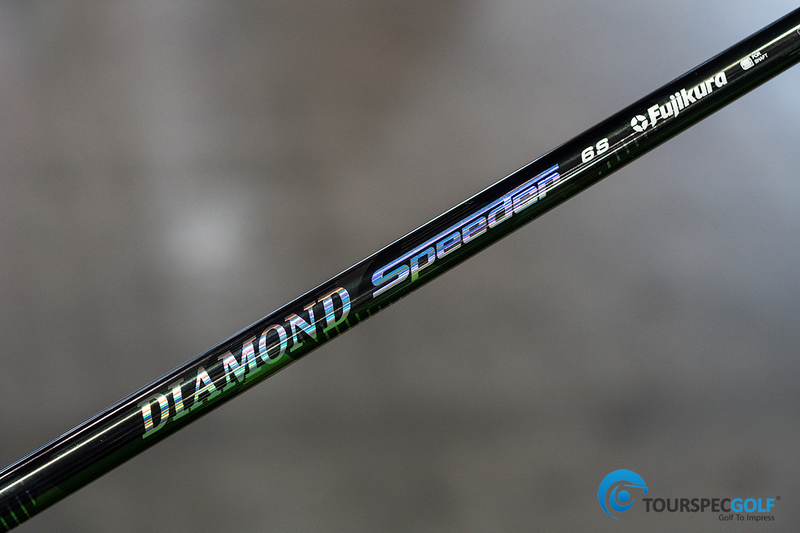 In my opinion right now this is one of the best iron shafts available from any brand. 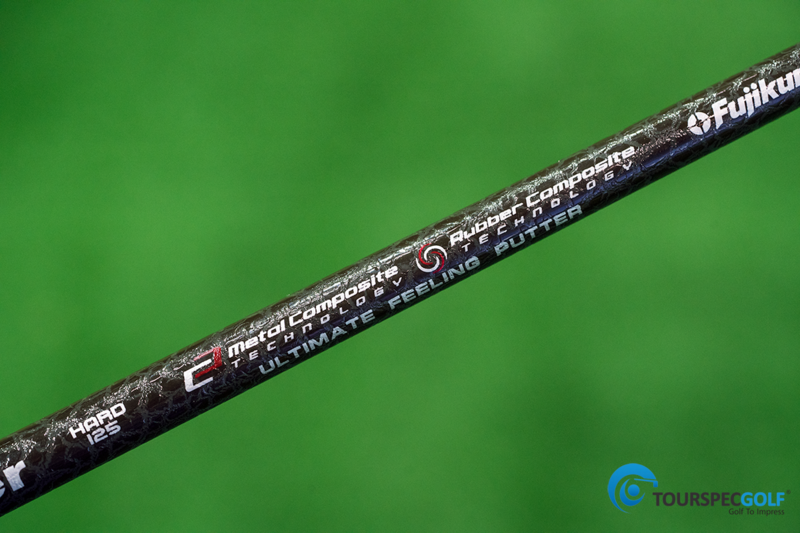 Really great weight flow shafts with excellent feel, distance, and dispersion. 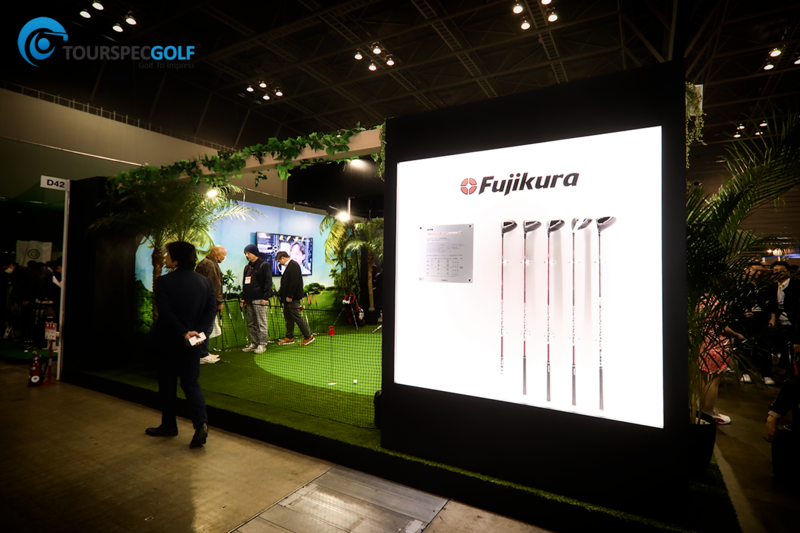 Tourspecgolf will be adding all the new Fujikura products to our proshop this week so stay tuned and keep an eye out for the. Thanks for reading!